When the Sega Mega drive was released in 1990, no-one would have even considered an in-built music playback capability. However in modern day gaming culture, many people use their consoles not just as a games device; but as an entertainment station. Games, movies, TV shows and music are just some of the things that are accessible to gamers on their Xbox or PS3 unit. 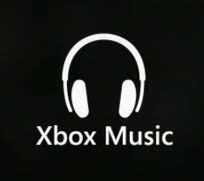 Recently, Xbox Music was released as Microsoft’s answer to iTunes and Spotify. But is Xbox Music a worthy challenger for these established music brand behemoths? This article takes an investigate look into the issue. • Lack of Marketing – Ever heard of the Zune before? Let alone seen an advert for it? • Service had lack of vision – Zune HD, the player, didn’t want to offer everything like iTunes does – just music. This somewhat limited them. • iTunes – Everyone had all they needed with iTunes, Zune offered nothing different for people to invest into. So looking at Zune’s failures, what makes Xbox music so special? Is Microsoft’s second attempt going to be laughed out the water by Apple again? Microsoft intends to not make the same mistakes as they did with Zune. Xbox live offers thirty million tracks to their users, which is already a step up from Zune; Microsoft taking their music player seriously. The best feature about this music playing service is the ability to cross-device cloud stream. What this means it that your tracks are not limited to one machine, but you can access a song you purchased on your Xbox on your Windows 8, PC, Tablet or Windows RT. The free service functions similar to Spotify, in the aspect of having a limited amount of hours you can listen to in the month. If you pay £8.99 a month, it will enable you to the ad-free unlimited service – with every track available for purchase download plus streaming. Alike Spotify, Xbox Music shows all relevant artist information (taken from Wikipedia on Spotify). Xbox Music has a ‘Smart DJ’ feature also, suggesting you with new music recommendations, playlists and mixes. Where Zune failed was that no-one knew about it. However, Microsoft is making sure Xbox Music will be the default player on all Windows 8 PCs, raising awareness from the inside. The whole design of Xbox music is very sleek, chic & contemporary; drawing on many different elements from iTunes, Google Music and Spotify. Microsoft seems to have thought this one out well, and is not usually in the failing game; they will not let the Zune travesty happen again. Time will only tell if users will go for this service in the long run – but one thing is for sure, Microsoft has set themselves up for success this time round. Thank you to DV247 for their contribution into this music article!